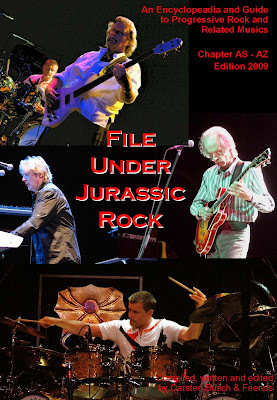 File Under Jurassic Rock: A-Files - minor corrections and new part! Chapter As-AZ, 10 MB, 92 pages - around 250 entries, 220 pictures, 170 reviews. Also I discovered some extremely stupid typos on the previous chapters, so I replaced the links in the previous posting with new ones (for those who printed the documents - as intended by the author - the only changes are on front and back cover and the title page).